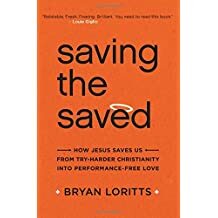 Using the book of Matthew as his primary resource, Loritts shows that our natural tendency to ingratiate ourselves to God by our own efforts is exactly the opposite of the message of Jesus. Grace is the answer – the only answer. Good works are not irrelevant, but are important as the fruit of saving faith not as the source of salvation. Some fine insights into well-known parables.